An applied experimental archaeological approach holds tremendous promise for addressing the biggest health issue facing humans today: diet. Beginning with the interpretation of the archaeological record and ancestral, traditional and modern food practices dedicated to increasing the density and bioavailability of nutrients, and experimenting with ways to fuse them with modern culinary techniques, we can develop strategies that support the creation of relevant, meaningful and accessible food system solutions. In order to be effective these solutions must simultaneously meet our biological nutritional needs as well as our modern cultural expectations of taste, smell, texture and visual appeal. 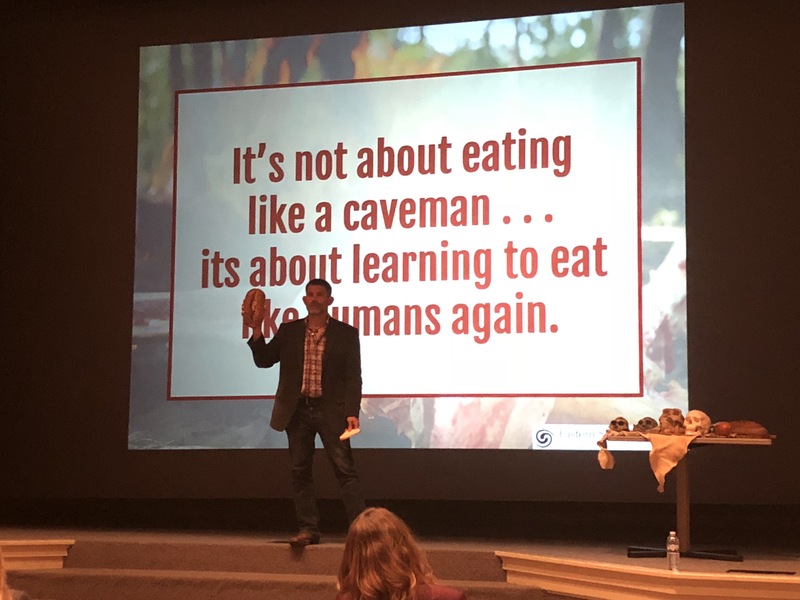 This address will offer a unique perspective on our dietary past, provide insight from the Food Evolutions Project, and discuss the vision for The Eastern Shore Food Lab, the new center at Washington College dedicated to using this approach to reconnect people with their food and to learning to eat like humans again. This paper will present the results of student experimental work to reproduce an early Mississippian fabric-impressed pottery from Western North Carolina. The experiment involved making beads from rivercane, weaving them into small pieces of beaded fabric, and using the fabric to make impressions on clay vessels. Aspects of the project that will be discussed include edge modification of flake tools used during timed work sessions, effectiveness of the groove and snap method for producing cane segment beads, comparative results of different documented Mississippian weaving methods, and comparison of experimentally produced fabric-impressed pottery to the archaeological specimens. Our modern understanding of the chemistry involved in fermentation does not necessarily translate in an easier interpretation of medieval brewing recipes. The arcane language of early medieval recipes often makes modern interpretations approximations at best, even if the terms used are cognate with modern terminology. This paper will demonstrate an alternative view to the current interpretation of mead no. 9 and 10, part of V: Goud Kokery and published by editors Hieatt & Butler in the publication Curye on Inglysch*. Hieatt & Butler postulate that the terms "forseid pomys sodden" in recipe 10 "[here] ‘pomys’ translates as apples" and "evidently refers to a recipe the scribe has omitted." Through careful experimentation I came to the conclusion that the word pomys does not translate as apples, or apple pressings, but as generic pressings, and that it does indeed refer back to the previous recipe no. 9. As part of these experiments the terms boiling and seething as used in these two recipes were also re-evaluated. When interpreted within this broader context, the two mead recipes work surprisingly well together, and make a quite excellent product. When recreating from medieval brewing recipes it can be beneficial to understand a recipe not only by its individual components, but also within a broader context and to be not too literal, or modern, in our interpretation. Throughout the world there are many cultures which have employed non-ferrous metal working. During the Vendel Period (550 – 790 AD) in Sweden, clasp buttons were used to hold clothing together. They are highly decorated and difficult to make in traditional bi-valve moulds due to overhanging decorations. Despite abundant (526) mould fragments, it is unclear which technique was used to produce these buttons: direct matrix in the use of multi-valve moulds or lost wax casting. Here, multi-valve moulds and lost wax were used to test the production sequences and to assess their viability in explaining clasp button manufacture. For all moulds, the breakage patterns were examined as well as the quality of the resulting products. Comparison of the breakage patterns of the moulds and the final product quality strongly suggest that the multi-valve moulds best fit what has been seen in the archaeological record. 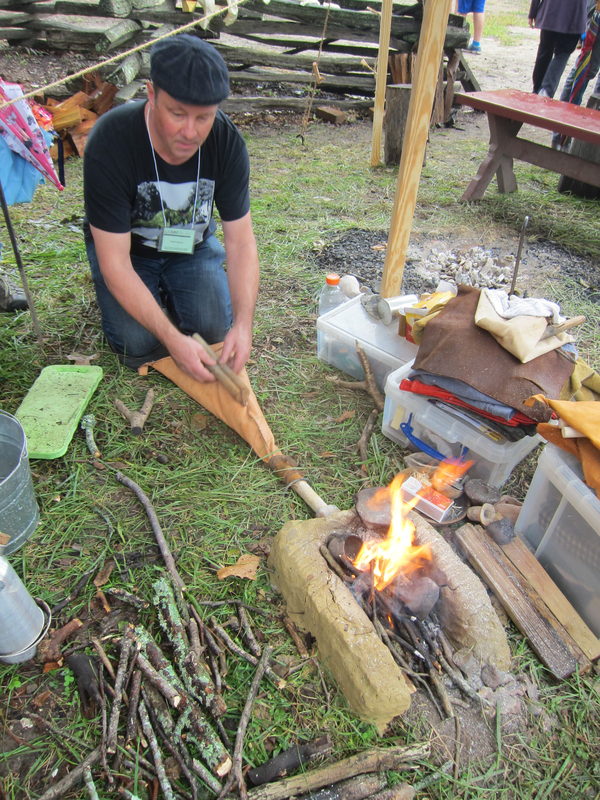 Experimental archaeology is an effective way to teach beginning archaeology students the fundamentals of the discipline without putting irreplaceable objects or sites at risk. Three hands-on projects are used in a class which includes both majors and non-majors to introduce basic skills. These are: identifying lithics, learning about ceramic technology, and an introduction to walk-over survey. This paper will describe those projects as used in the general methods class Archaeological Principles at SUNY Cortland. In recent decades, we have come to realize that there are many different kinds of learning styles. In this paper, I would like to make the case for living history programs within the museum context engaging with the visitor through experimental educational outcomes. By shifting our understanding of how people interact with their own histories, we can adapt museum programming to better reflect those intimate interactions. The visitor is far more likely to ask relevant questions and interact with the museum exhibits if there are living historians working within the exhibit space, either presenting full, immersive programs or simply demonstrating a related trade. The days of stuffy text panels and dry exhibit plans should be a thing of the past. All museum types should engage with more living history programming as part of their exhibit planning. Experimental Archeology is not a subject you often see taught to high school students. But in the last 6 years I have used experimental archeology as a context to teach history, and science in my high school in California. This presentation will outline the experiments and activities that my students have carried out over the years. 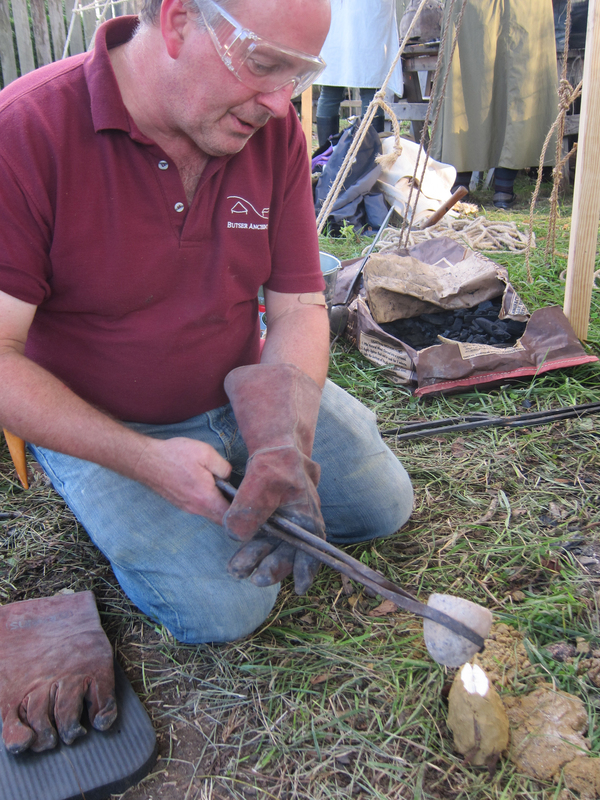 Making charcoal, smelting and casting metals, flint knapping, moving and lifting large stones, laying out a stone circle, and building a replica Roman crane are some of the experiments I will share. 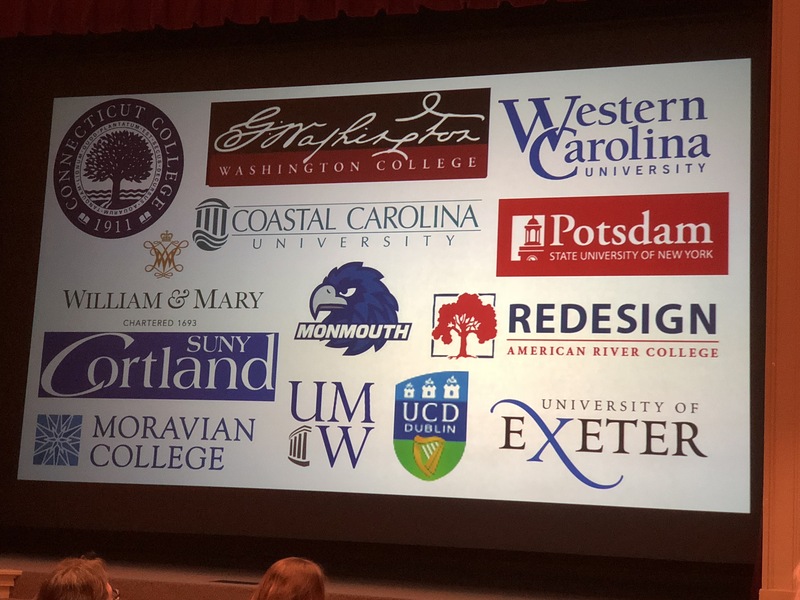 I will also talk about how I plan to expand the course and my dream to create a semester long interdisciplinary course of high school students. Share. Like. Comment. Tag. Snap. Tweet. Friend. Post. Favorite. Follow. Retweet. Are you doing any of these things? If you’re not, you need to step-up your social media game because these platforms are where many cutting edge professionals share research, how students investigate potential schools, and ways you can stay in touch with your colleagues around the globe. 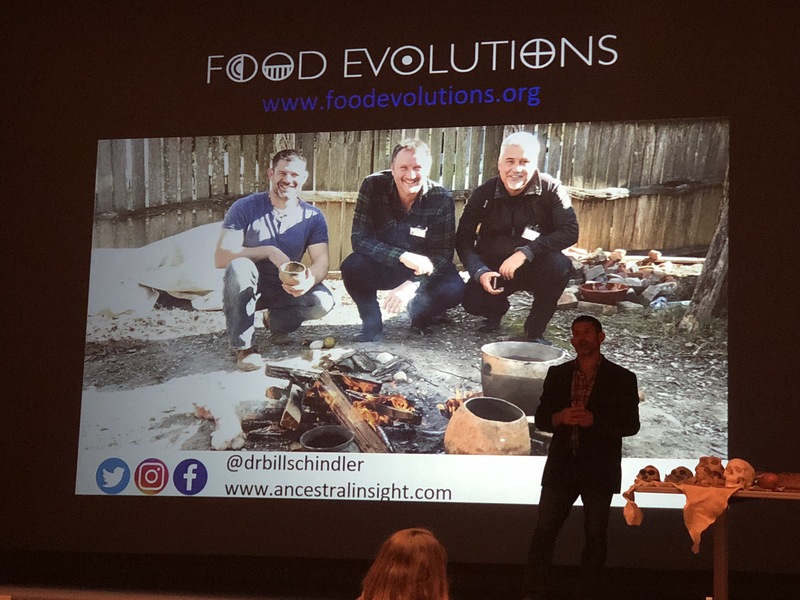 Hear how Christina Schindler, a disruptive innovator and K-12 educator, created social media profiles to spread the message of @TheModernStoneAge Family’s travels abroad, her husband’s #eatlikehumansagain message on @DrBillSchindler, and the launch of Washington College’s @EasternShoreFoodLab. Armed with loads of tips and tricks to get you started plus refine your social media game, this presentation is geared to all those who want to connect and inspire on social media platforms (including Instagram, Facebook, Twitter and SnapChat). Were Ötzi’s bow stave and arrow shafts intended for hunting and warfare? Since the discovery of Ötzi in 1991, the Neolithic Iceman of Northern Italy, there have been many questions about the quality and effectiveness of his unfinished bow stave and arrows, especially about their intended functions. Was he planning to make them for hunting or warfare? If so, how effective could they have been if completed? The goal of this presentation is to provide empirical data to test these hypotheses. The author made seven bows and 24 arrow replicas used in this experiment. The results from 3,000 shooting rounds to measure the accuracy and kinetic force of each of the arrows with these bows helped to determine if these tools were efficient enough for hunting or warfare. As an ethnobotanist, hunter and bow maker specializing on the hunting technology of indigenous peoples in North and South America, the author has a unique perspective to understand Ötzi’s equipment from a multitude of perspectives. This topic takes a look at the internal rib phenomenon of the Irish Late Bronze Age socketed axe. Socketed axes, particularly in Ireland, retain the presence of one or more 'ribs' located inside the socket of the axe. These ribs, often referred to as 'haft ribs' have been interpreted as functional to the haft, acting to split the haft, wedging it tightly into the socket. However, many of these ribs appear to be too short to function in this way, leaving their current raison d'être unsatisfactory. It is apparent that internal ribs became a recurring part of the moulding sequence, resembling the negative impression of a step in the casting process that is today little understood. My 2017/2018 masters thesis reconnects with this process, by experimenting with the placement of internal ribs in the moulding sequence, testing two previously presented possibilities for their appearance, comparing macro-morphological trends with the archaeological data. Musket balls without mold production markings have been recovered from multiple 18th century American Revolutionary War contexts. Two hypotheses exist for how the markings were erased. One is that markings were intentionally erased by rolling musket balls in a barrel. The other posits that markings were erased incidentally through the forces enacted on the objects during transport. An experimental project was designed to replicate these forces on reconstructed musket balls. A selection of the Monmouth artifacts was analyzed as a case study. Using this data, a reference collection of 300 musket balls were produced and subjected to experimentation. These experiments tested the intentional, incidental, and ideal conditions for production marking erasure. Results illustrate that transportation is unable to consistently erase mold production markings. Implications suggest production markings of cast musket balls were intentionally removed. Perfection was therefore prized in musket ball manufacture which demonstrates a degree of pride in production. 4,000 years ago, people cultivated and domesticated a variety of plants native to Eastern North America. Among these was the crop Chenopodium berlandieri (chenopod). The domesticated form of this crop has long gone extinct. My research focuses on the wild progenitor of C. berlandieri and employs an experimental approach to assess harvest yields, ecological relationships, and processing techniques. While this remains a work in progress, I have spent the last seven months cultivating 40 chenopod plants in the community garden on the State University of New York at Potsdam’s campus. This presentation reports on the controlled cultivation experiments carried out last summer. During this period, I was able to observe and collect data related to the growth and management of C. berlandieri in both cultivated and wild contexts. Future plans include quantifying the seed and leaf yield and cooking the harvest following traditional recipes. The archaeology of Viking era bead making is skimpy when it comes to the bead furnaces. One possibility for a bead furnace includes the idea of building one big enough to use natural draft rather than a bellows. Members of the DARC bead team built an impressive test furnace in the summer of 2018. Join us for a discussion of how the archaeology can be interpreted, and what happened when built our biggest bead furnace ever! As early as the mid-19th century, prominent archaeologists such as Sir John Evans, Augustus (Lane Fox) Pitt-Rivers, Sven Nilsson, John Lubbock, Frank Hamilton Cushing, J. D. McGuire and Charles C. Abbott all conducted replicative experiments and used their results to interpret the prehistoric past. Their experiments coincided with a shift in the field of archaeology from amateur collecting of unique and interesting specimens, to a more scientific interpretation within a growing professional discipline. This paper will review the early history of experimental archaeology, with a specific example from the Harvard Peabody Museum collections made by C. C. Abbott, and will discuss how such attempts at scientific explanation were emblematic of a new, professional paradigm for the field. This 30-minute panel will explore the experiential vs. experimental debate from the perspective of undergraduate history majors. 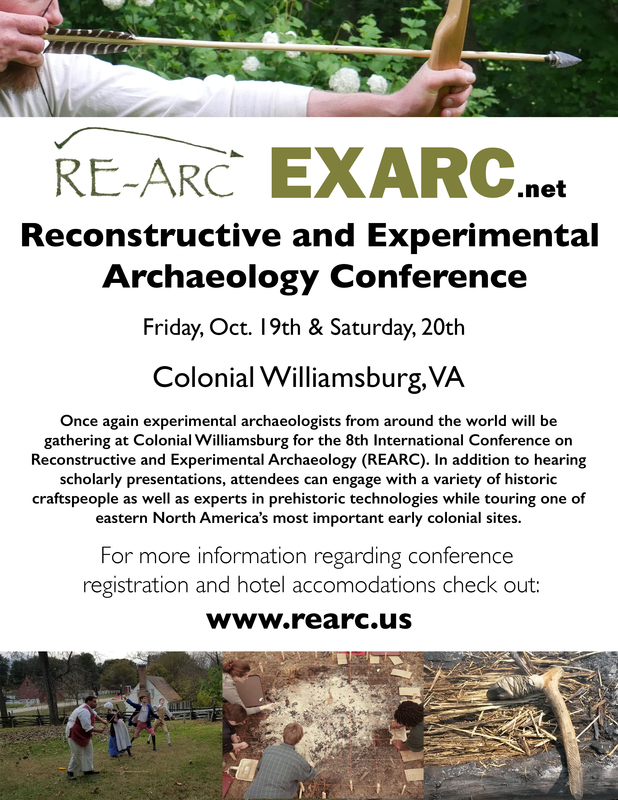 Experimental archaeology, as we will discuss, has a great deal to offer historians. But many historians are more grounded in the humanities than the social sciences and have even less experience with the scientific method. We will explain how, over the course of a semester, we wrestled as a class with both the theory and practice of integrating scientific rigor with qualitative experiences. Faculty members Jamie Paxton and Sandy Bardsley will introduce students and help transition from one speaker to the next. Although archaeology is a fairly young discipline, it has undergone several stages. Processual and postprocessual archaeology, in particular, seem to contradict one another, but the development of the discipline is not at a stalemate. This paper will argue that experimental archaeologists should encourage more experiential pedagogy at an introductory level. 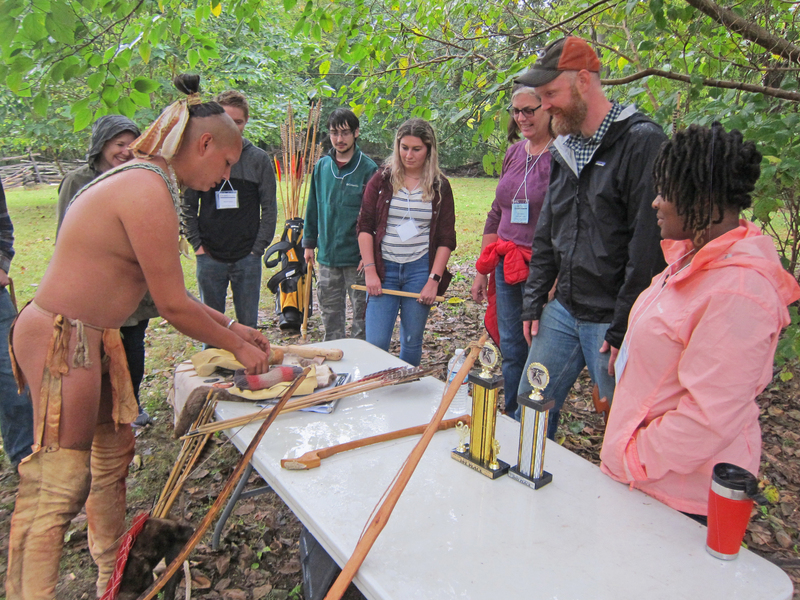 Experiential archaeology necessarily precedes experimental archaeology in advanced pedagogy. Experiential pedagogy also allows students to develop respect for history and passion for both history and archaeology. Even though the experiential aspect of experimental archaeology is important, the experimental aspect is what ultimately separates experimental archeology from reenacting and “living history.” Dressing up to attempt to re-live the past is very different than using an hypothesis to understand physical processes it took to make tools or commodities in the past. Experiments cannot show human motivation or desires, but they can show the process and construction of tools and buildings to better understand their use. Experimentation thus takes us closer to how life was in the past without our modern bias getting in the way. This paper will look at the various components and methods used to construct our burdei structure. Through both subjective experience and comparison with scientific criteria, we may be able to resolve the apparent conundrum of experiment and experience. In addition, this paper will assess the accuracy of our structure and identify anachronisms encountered during construction. On Saturday, conference attendees will have the opportunity to tour Colonial Williamsburg in a very special way. 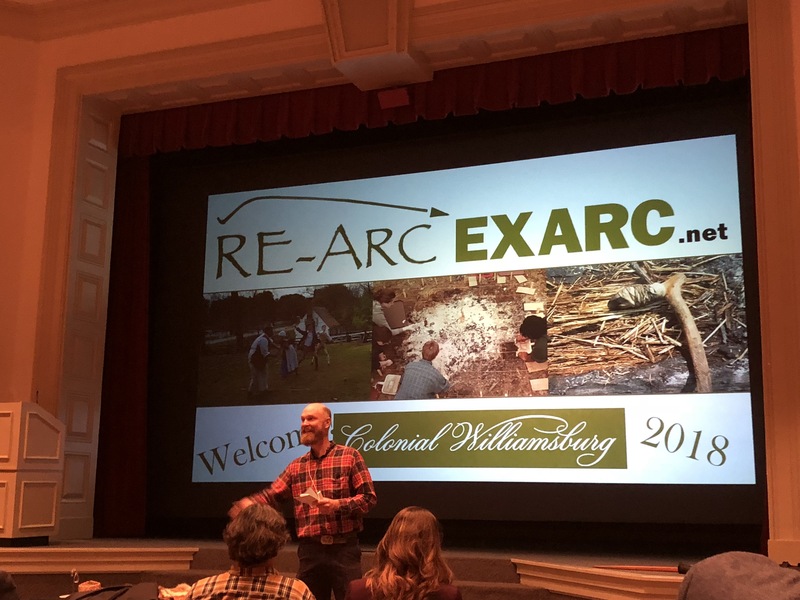 Some of EXARC’s members will be demonstrating alongside Colonial Williamsburg’s craft specialists in order to enhance and contextualize the technologies typically seen there. In fact, most of our demonstrators will showcase the worldwide technological precursors to the colonial crafts typically shown at Williamsburg. In this way, conference attendees and park visitors will walk through virtual prehistoric timelines on their way to observe the colonial craftspeople.